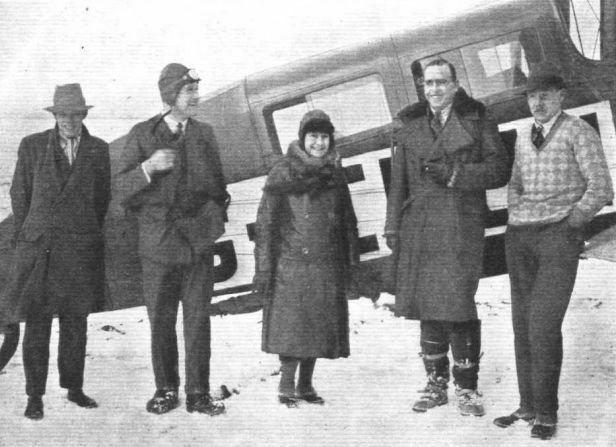 "MOTHS" FOR SPAIN: Recently three de Havilland "Moths" were flown to Spain, two for the Aero Club of Madrid, and one for Duc D'Estremera. The three machines were flown by three brothers, Juan, Jose and Enrique Ansaldo. One of the machines also carried the Commandante Ricardo Bellot. 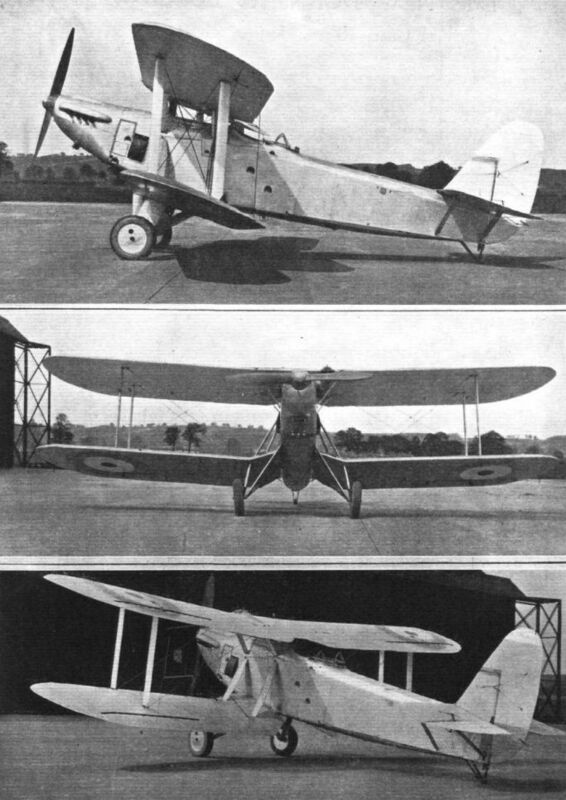 THE LATEST TYPE OF TORPEDO-PLANE: Three views of the Blackburn "Ripon II," fitted with Napier "Lion" engine. The Blackburn Co. has specialised on the production of torpedo-planes for many years, and the present type marks a very distinct advance. The machine can also be fitted with floats and operate as a seaplane. THE FOKKER T. IV SEAPLANE: Three-Quarter front view of the new Fokker bombing or torpedo monoplane, fitted with two 450 h.p. Lorraine-Dietrich engines. 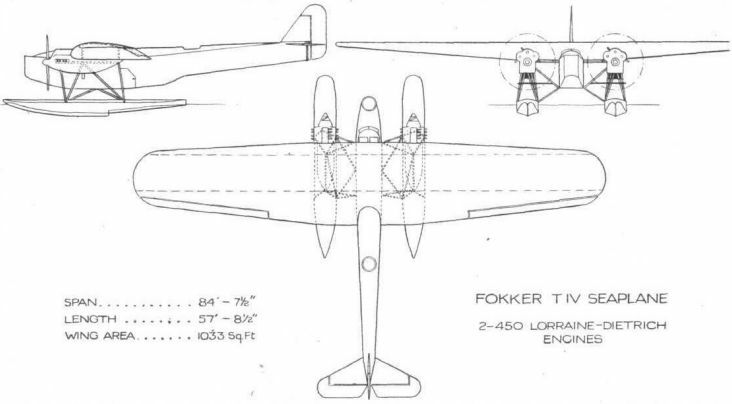 THE FOKKER T. IV SEAPLANE: Front view, showing space available for carrying a torpedo. CZECHOSLOVAKIA ATTACKS WORLD'S LIGHT PLANE RECORDS: (3) The Avia B.H.9 two-seater (60 h.p. Walter) on which (4) Capt. Vlcek and Lieut. Chrastina also established a record, on the same day, for the two-seater class, with 1305-546 km. (809-5 miles). CZECHOSLOVAKIA ATTACKS WORLD'S LIGHT PLANE RECORDS: (1) Capt. Cerny who accomplished a flight, on December 8, over a closed circuit covering a total of 1740 728 km. (1,080 miles), thus creating a record for single seaters. (2) Capt. Cerny's Avia B.H.11 single-seater monoplane, with 60 h.p. Walter engine. 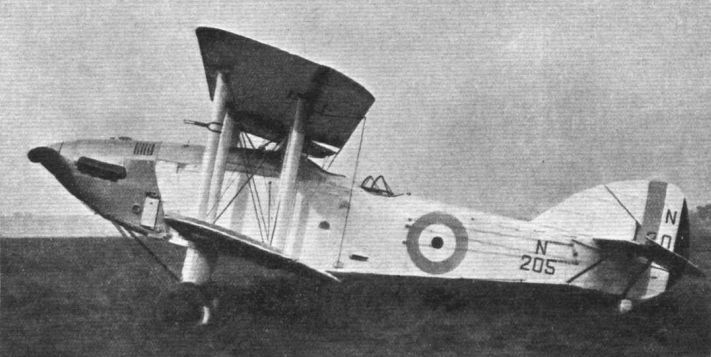 The Avro "Avian" (30-80 h.p. "Cirrus" Engine), which is to operate with the Seal Fisheries in Newfoundland in place of the Avro "Baby," the latter now retiring after several years of useful work. A MERE BAGATELLE: Two views of the new Dornier "Super-Wal" flying-boat, which is fitted with four "Jupiter" engines, It has a wing span of 93 ft. 10 in., and a wing area of 1,539 sq. ft. Note the tandem arrangement of the wings. A NEW YEAR GREETING FROM SWITZERLAND: These photographs have been sent to FLIGHT by Major Nabholz de Grabow, Switzerland's veteran private owner, who, in spite of his 59 years, is never happier than when he is flying his Morane-Saulnier parasol monoplane. 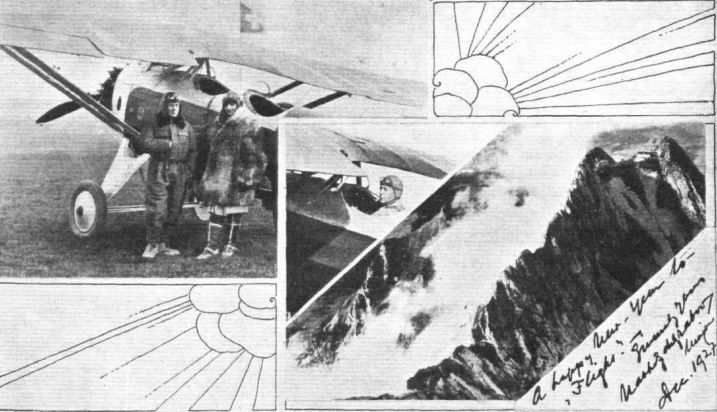 The photograph on the left shows the Major and his daughter on the return from a flight, while on the right is an aerial view of Mount Pilatus. 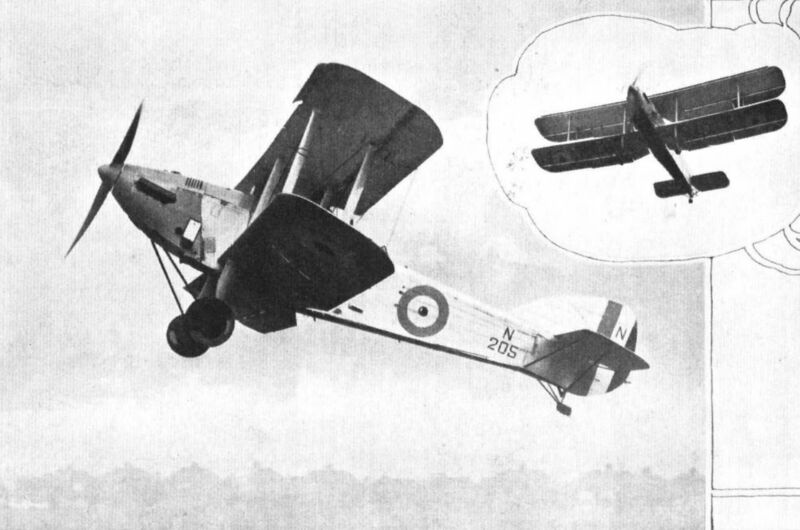 THE AUTOMATIC SLOT IN ACTION: Two views of the Handley Page "Harrow II," with Napier "Lion" engine. The position of the elevator indicates that the machine is not being "hoicked" into the air. THE HANDLEY PAGE "HARROW II": Side view. 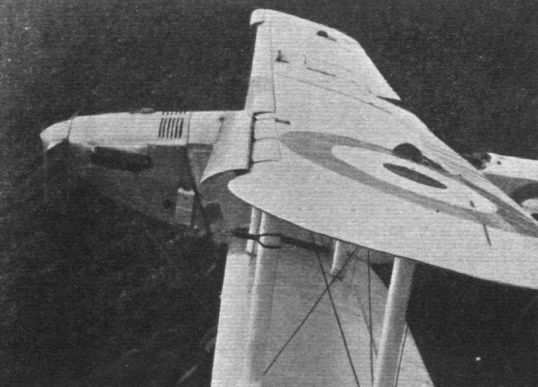 Automatic Slots: View showing the wing tip slots on the Handley Page "Harrow II." AERIAL "TRAMPS": Wintry weather delayed the start from Stag Lane, last week, of two D.H.9 machines for the East. Piloted by F/O Newall and F/O Vintcent, respectively, the two machines will make a survey tour to Singapore, with the object of discovering and operating air routes of medium range between inaccessible but busy centres. Mrs. Wise Parker, seen in the centre of the group, has booked a trip as far as Cairo. The two engineers are Mr. Childs and Mr. King, respectively, the former being official photographer to the expedition. THE NEW KOOLHOVEN MONOPLANE: Three-quarter front view of the F.K. 30 "pusher" with Siemens engine. 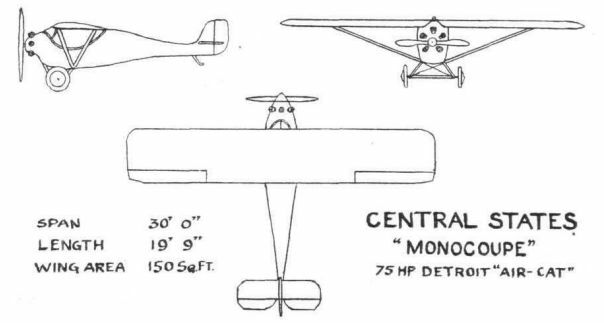 The Central States "Monocoupe": Three-quarter front view of a recent American light 'plane. It is fitted with a 75-h.p. Detroit "Air-Cat," 5-cyl., air-cooled, radial engine. 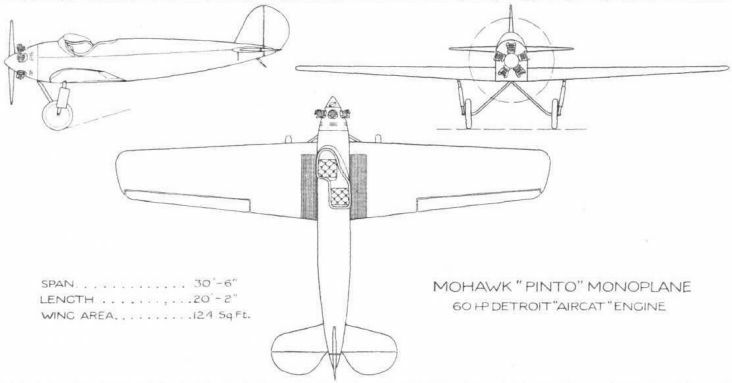 Central States "Monocoupe" 75 hp Detroit "Air-Cat"
THE MOHAWK "PINTO" MONOPLANE: Three views of the American light plane, fitted with a 60-80 h.p. Detroit "Aircat" engine, designed for the private owner. The pilot and passenger are seated "side by side in tandem" - in other words, their seats are slightly staggered.